I had someone coming over today and asking me for tips on what to see in New Zealand on the South Island. I thought for few seconds and replied that no matter where you are planning to go there you could not make a wrong decision. Get out of the city and it is all there for you to see and experience. If you are thinking about travelling in New Zealand as well, have a look through my article Travelling in New Zealand in a Motorhome. Some nice scenery photos there as well. 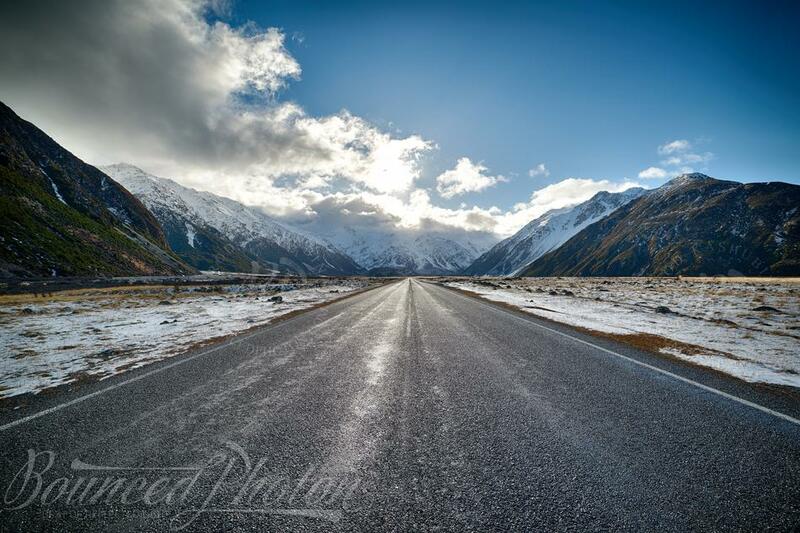 And here on the picture the road to the most beautiful wonder this side of the world, Aoraki / Mount Cook, the highest mountain in New Zealand / Aotearoa. You would think it will be one of the busiest roads on Earth with people rushing everyday to see it. But guess what? It is not. There was hardly anyone on the road and it was a pleasure to enjoy it all in peaceful quietness.